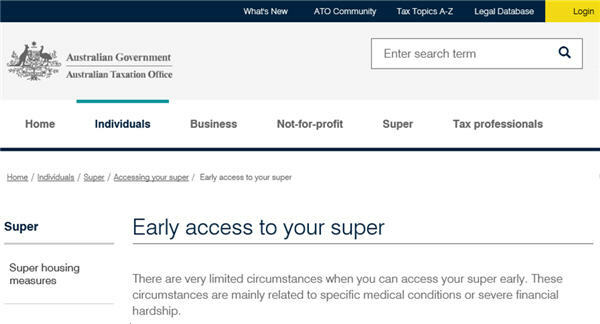 There are very limited circumstances when you can access your Super early. These circumstances are mainly related to severe financial hardship or compassionate grounds. Always seek financial advice before withdrawing money from your Superannuation fund. Family Tax Benefit is not an income support payment. Non-protected Special Category Visa-holders are eligible for some Centrelink payments after living in Australia continuously for at least 10 years. Find out more about accessing your Superannuation or KiwiSaver funds early. Citizens and Permanent Residents of Australia or New Zealand may be allowed to withdraw some of their Superannuation or KiwiSaver on compassionate grounds for unpaid expenses. expenses associated with a death, funeral or burial for a dependent.